HADYN’S FAREWELL -Erin Helyard directs an orchestral program of Haydn, Mozart and J.C. Bach. 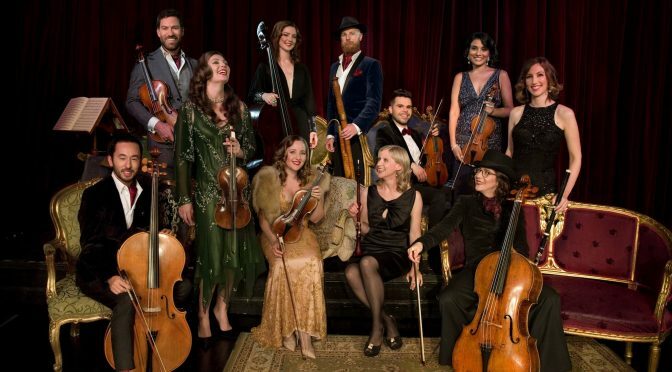 The Australian Hadyn Ensemble concludes the year with regular collaborator Dr Erin Helyard, director of Pinchgut Opera, performing a wonderful orchestral program inspired by the Enlightenment. The program closes with Haydn’s dramatic Farewell Symphony, a work in which Haydn displays his classic ability to marry great humour with great beauty, perhaps rather fittingly, getting his point across to Prince Esterhazy that it was time to go home for the holidays! HAYDN’S FAREWELL from The Australian Hadyn Ensemble [Facebook Event] is Sunday December 16 @ 2.30pm at Verbrugghen Hall, Sydney Conservatorium of Music.